Da Capo Lifelong Books, 9780738219929, 304pp. 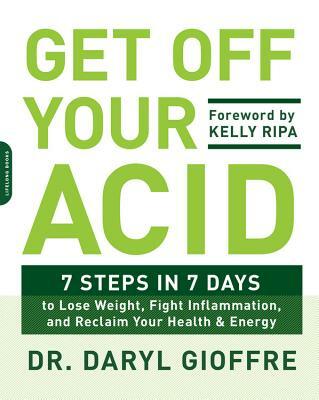 With alkaline recipes for easy, delicious snacks and meals, Get Off Your Acid is a powerful guide to transform your health and energy--in seven days. Dr. Daryl Gioffre is a wellness consultant and longevity expert who specializes in the alkaline/acid diet. The founder of the Gioffre Chiropractic Wellness Center and Alkamind, he is a board-certified chiropractor in the state of New York. Dr. Gioffre is a passionate speaker and educator, certified raw food chef, health coach, and ultramarathoner.